Life, as a man, isn’t easy. Almost all books and resources on the Internet talk about the hardships of a woman, but people don’t talk about the difficulties that men face as they go through life. Whether it is about earning a livelihood or attracting women, things are never easy for men. The good news is that there are a few things that can help men improve the quality of their life; and one of them is reading self-improvement books. Unfortunately, men often tend to become defensive about reading self-improvement books as they are too protective of their egos. But think again, your ego will take you nowhere; so it is best to accept the fact that no one is born perfect. You need to make yourself perfect. This one is a must-read for youth that are on the verge of joining their dream jobs and dedicating their lifetime to work. Most of us immerse ourselves in our work to the extent that we forget we have a life of our own. There are things we are passionate about and there are people who need us. We become so engrossed in our work (even though we do not want to) that our job titles become our self-descriptions. The Four Hour Work Week is a book that helps the youth identify their passion and spend less time doing things they don’t like. Doing so helps you focus things that make you happy. Alert – It definitely does not talk about how you can earn millions of dollars within a week or month. It encourages you to live life to the fullest and make the most of your youth! Whatcha Gonna Do with That Duck? : And Other Provocations is one the several masterpieces created by Seth Godin and one of the best self-improvement books you can come across. Apart from self-improvement, the book focuses on a number of other areas of improvement. 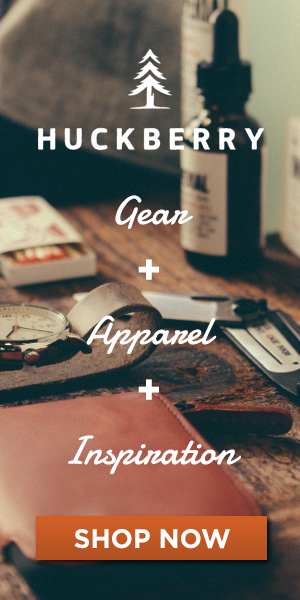 It provides men with a completely new perspective of life that is fresher, more vibrant and packed with possibilities. In a blog post from Whatcha Gonna Do with That Duck, the author says, “We’re surrounded by people who are busy getting their ducks in a row, waiting for just the right moment. . . Getting your ducks in a row is a fine thing to do. But deciding what you are going to do with that duck is a far more important issue.” This book will be your friend, philosopher and guide and help you venture into the no-comfort zone. It is powerful enough to make you feel the onset of a new age where you can get rid of everything you dislike and own everything you like. If you are really keen on self-improvement, make sure you read this book. The 48 Laws of Power talks about power and how people misuse it for their own benefits. We often give in to powerful people and do everything they want us to do, even if we do not support it. This book teaches you to rise above all this and protect yourself from people who may try to belittle you using their power. The 48 Laws of Power offers a number of life lessons and teaches you how to use power for good. If you think people have been trying to manipulate you and use your skills to their advantage, read this book to empower yourself. Do you know why some people are more successful than others? It is because they understand what they want and they know how to achieve it. 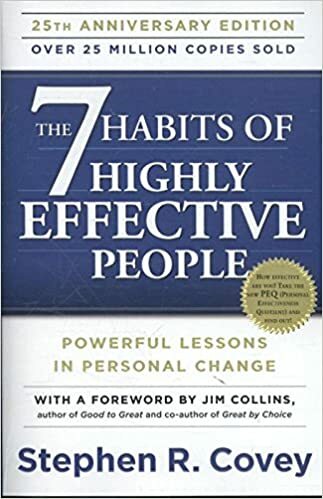 In ‘The 7 Habits of Highly effective People: Powerful Lessons in Personal Change’, Covey talks about the seven habits that one must adopt to become effective in achieving the goals of life. The book makes an attempt to change our view towards the world and ourselves. However, doing so isn’t easy. You need to try really hard to make things happen the way you want. If you read the book and apply the learning with true dedication, it can make a real difference to your life. If you have the urge to learn more, this is the perfect book for you. Read the book to empower yourself and the people around you! Who does not want to be rich? But, being good is even more important. 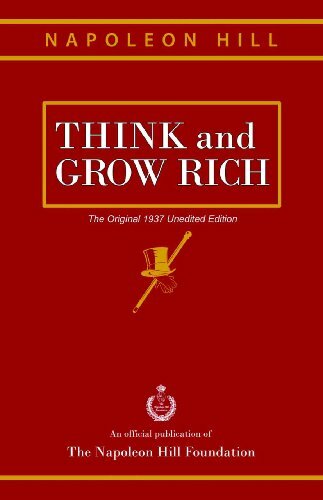 The unedited version of ‘Think and Grow Rich’ is a masterpiece by Napoleon Hill. It talks about becoming rich and other aspects of life such as thinking positive (about life and yourself), not getting flustered even when you do not have enough money, etc. There are a number of books on self-improvement, but the above are some of the masterpieces that can change your life for good. Whether or not you are an avid reader, these books are a must-read. So, grab them and rediscover life in a way you never knew before.